Imagine if every time I did the same to someone I felt was severely overweight or dressed inappropriately. I could then write a novel. I was out tonight, yes smoking, a few women walked in the bar basically wearing nothing. Totally inappropriate for where I was and trust me I am liberal. Yet, I am shunned and starred at bc I’m smoking? I very clear on what I doing to my body. Unlike many women that find the only way they can get attention is to obectify their body. I would rather have a smoke. I agree with you purple couch, you are dead on here. Thank you Blanks well said. I agree that smokers seem to be on the bottom of the food chain at the moment. While I understand there are concerns about health issues, I do believe we live in a free democracy while life (smoking or eating cake) liberty and the pursuit of happiness are still are written in our constitution. As a former occasional smoker, who can down a pack in one party, I’m happy with this movement. There’s no benefit in smoking, nothing at all. thanks for this post! i agree, there are so many things causing health issues, that i don’t get why smokers are singled out, if it is such a big thing, why don’t they just ban cigarettes? we all know why. 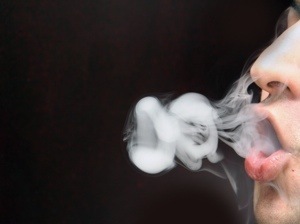 smoke or don’t smoke, our choices and reasons and psychological madness are our own. what makes me very angry is when a smoker who recently stopped smoking, suddenly becomes anti-smoking and pretends to be all high and mighty about how bad smoking is, how weak YOU are for smoking as if they are the all-time-hero-saints. i have no respect for people who have no respect for others. so what if they had the will to give up the one thing in life they actually enjoyed doing? they should also have the will to be quiet and pretend that the choice was their own and not pressure by society or family or friends. smokers have become outcasts. along with everyone else who is deemed “not fit” for our perfect-fake-world. i’d rather be real and a little f-ed up than perfect. we all have a weakness of some kind. don’t abuse it or allow it to do harm to others, that’s the bottom line. someone should start a smokers’ underground rebellion movement. members by invitation only. 🙂 as are your posts, my friend.